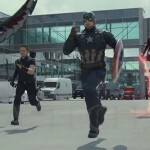 iMAX is immense spectacle for Avengers movies, but you want more . at the price of smaller screen, but you loose perception of grand screen size when wearing 3-D glasses anyways : so have opted for 4DX on The Avengers at the posh Cine City CGV, then Noah last Week at the huge YongSan CGV . 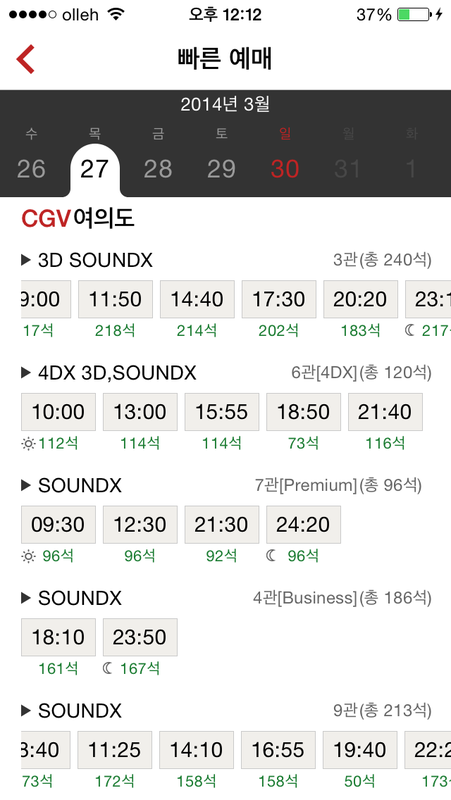 then you still want more, so this time CGV’s miraculous sound effect dubbed SoundX which only shows on CGV branch deep underneath iFC Mall on Yoido island . you seldom have a chance to come here in Yoido, a small island in the middle of Han River : not downtown nor the chick KangNam i.e., in the middle of noowhere unless ofcourse you work here . it is one of the earliest settlements outside the old downtown as city boundaries expanded with the development of the whole nation . some popular buildings and restaurants were here at that time but now over-cast by newer districts throughout KangNam and re-development of the classic downtown area . the whole island is divided into five parts : the massive plaza where national ceremonies (formerly overtly military) are held, the national congress, television broadcast stations, business buildings and residential apartments . [ THE STORY ] it is interesting to find an action-packed classic science fiction movie series conjured up in espionage deception – one that aging actor Robert Redford should feel right-at-home from his former Spy Games . which also means you expect some long dramatic conversation, in-between action scenes where multiple special effects come to play . then flash-bang decades later in the form of an all-out terrorist attack on metropolis . it is intriguing to realize this in the middle of the movie : much like finding out your dependable all-in-one computer HAL has turned against its astronauts in another classic science fiction movie of all science fiction movies 2001 : A Space Odyssey . 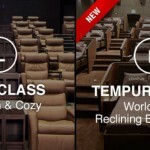 [ 4DX SYSTEM COMPARISON BETWEEN THEATRES ] could be I am confused from all the effects going on but the 4DX system offered by CGV seem to have several versions : ofcourse with different layout of the hall and location of lights and speakers, but fore-most the moving chairs . 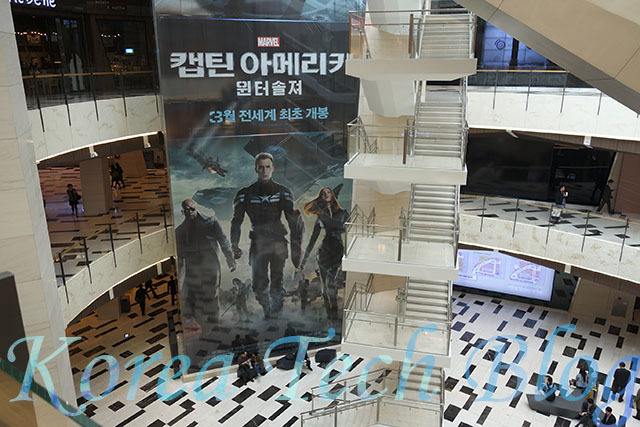 as Cine City did have water ON/OFF options and massage rod on the back only, while YongSan did not have water option but instead a soft mist instead of spray . and Yoido here does have water selection AND massage rod under-neath your calves in addition to the back . lights : about a dozen flashes on both sides of the hall ceiling sync effectively for realistic sight . wind : around the same direction perhaps a bit lower than the side-ceiling lights, wide fan blow down onto you although not much of a hurricane . 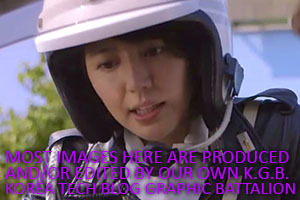 effective on sky-flying scenes including heli-carrier . puff : of air also extrude quite often from three tiny holes behind your ears on the chair head-rest . water : with an ON/OFF switch on your arm-rest, a small amount of water sprays right onto your face – just enough for you to feel, and not enough for you to wipe-off with a tissue though . chair : rocks quite hard on hand-to-hand combat, to nausea on car-chasing scenes and gracefully around on heli-carrier hovering scenes . [ COOL AND THE GANG ] as warriors of the next generation : the new young action stars make this film a fast-paced joy-ride nomatter if they portray good or evil including Winter Soldier himself, flying Falcon and SHIELD’s counter-terror STRIKE team leaders woohah !